Where would you be this Ramadan? Beebees Exquisites in collaboration with Renee Tours brings you an amazing tour to Casa Del Papa from Friday, June 15th – Sunday, June 17th, 2018. 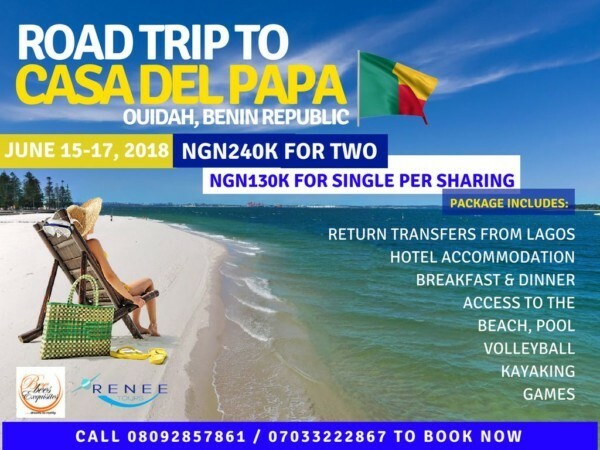 Join us for an amazing outing to Casa Del Papa in Benin Republic at an amazing price. – 240,000 Naira for a pair. For more enquiries, call 08092857861 or 07033222867 to book now. You can also click here to fill in your details. You don’t want to miss this, let’s go have fun!